Mont Choisy Le Golf is the only 18-hole championship course in the north of Mauritius, conveniently located near the seaside resorts of Grand Baie and Trou aux Biches. Designed by the prolific golf architect Peter Matkovich, the course occupies 250 acres of what was once a sugar cane plantation. Mont Choisy Le Golf is above all a Mauritian golfing asset that enhances the natural beauty of the island and the historical heritage of the area. 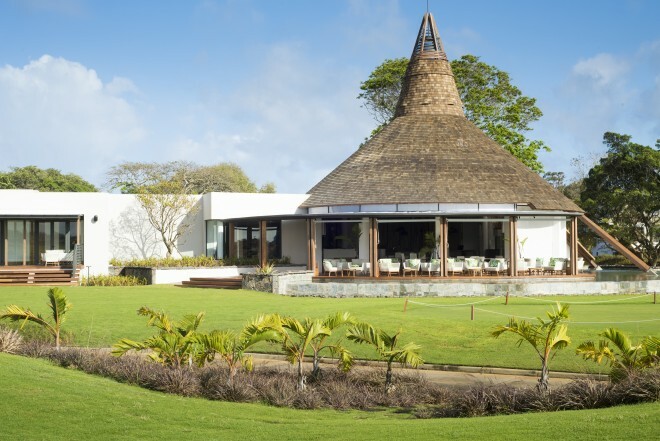 All over the course, distinctive Mauritian landscaping, such as black volcanic sand, palm fringed fairways, endemic plants will bring enthusiast to the golfer. From beginners to Pros, the course is suitable for all golfers. The Golf Academy consists of a magnificent driving range facility with excellent practice, chipping and putting greens. There are three PGA professionals in attendance. After eighteen holes, The Clubhouse Restaurant will provide the golfer with all the necessary conveniences and is also a place to relax and enjoy joyful moments, while enjoying the panoramic view.